Home Politics Will Keyamo, Ambode Make Buhari’s Cabinet? Will Keyamo, Ambode Make Buhari’s Cabinet? Governors Rochas Okorocha and Ibikunle Amosun of Imo and Ogun states respectively, are considered some of the most vociferous supporters of President Muhammadu Buhari. Their unalloyed loyalty to the president and the All Progressives Congress was seen as non-negotiable. 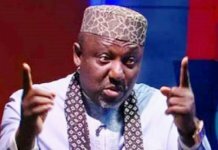 That was soon put to the test following the contentious governorship primaries in Imo and Ogun in which Okorocha and Amosun’s protégés – ‘anointed’ governorship candidates – failed to clinch the party’s ticket. In a derring-do style, the duo made their protégés switch their political allegiances to other parties in a bid to realise the dream of their political godfathers. To Buhari, that was disturbing as the presidential election approached. There were fears that the crises rocking the two states would have adverse effects on the fortunes of APC in the general elections. In the end, the party and Buhari survived the scare, at least in the presidential and parliamentary polls. However, the scars are there, political observers say, for Buhari to see following his re-election. As a devoted man to his avowed cause, the president is said to fall head over heels in love with individuals who have demonstrated unalloyed loyalty to him and his party – and he will no doubt reward them with political appointments. 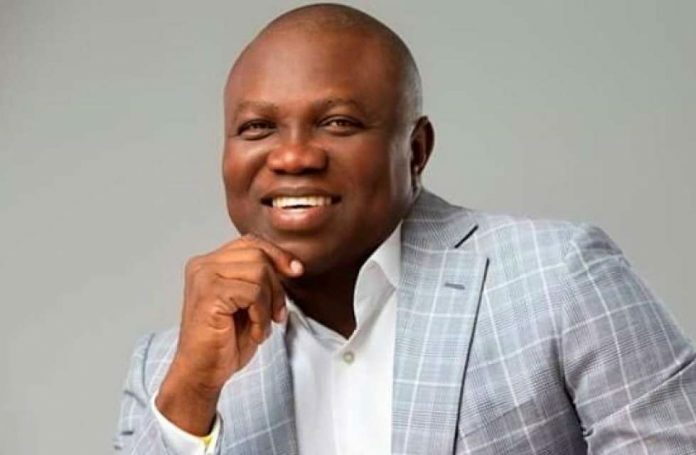 Regarding the last governorship primaries conducted by the APC, a lot of acrimony was generated across the country and one situation stuck out like a sore thumb: the governorship primary in Lagos State which ultimately pitted the party’s National Leader and ‘generalissimo of Lagos’, Asiwaju Bola Tinubu against Ambode, who had sought a second-term ticket from his party. Eventually, Ambode lost the party’s ticket to Tinubu’s ‘anointed one’, Babajide Sanwo-Olu. Rather than being a party pooper, Ambode stuck with that unpalatable but inevitable choice. He decided not to do anything that would jeopardise the chances of APC in the general elections. He went about – from Lagos to Kaduna – campaigning for Buhari’s re-election with many commending his political grit and foresight. He is also demonstrating similar fervour for the election of Sanwo-Olu, his erstwhile political rival and ultimate usurper. “We are going to campaign heavily for him (Buhari). I am also committed to ensuring that the APC wins the governorship election come 2019. We support the candidacy of Babajide Sanwo-Olu and we would make sure that APC retains Lagos State and the centre. “Just to be very clear, as an average Nigerian, not necessarily as a governor now, I will pitch my tent with, endorse and vote President Muhammadu Buhari in this forthcoming presidential election…. I believe at this auspicious time in this country that the right person that can actually take us to the next level and the next trajectory of the prosperity and progress of Nigeria is President Muhammadu Buhari,” Ambode had told journalists during one of the president’s campaigns. To many people, he is the next big thing after Babatunde Fashola, leading public analysts to assume that he will be a bright spot in Buhari’s forthcoming cabinet. Judging by his achievements as Lagos governor and political temperament, they believe he is one minister Nigeria should not miss having. Both critics and admirers of Ambode in equal measure acknowledge his work ethics, public service ingenuity, and resultant achievements in the spate of four years. They wanted more of him but the insatiated godfather that even Buhari could not placate had had enough, accusing the incumbent Lagos governor of failing to follow the party’s blueprint. In all this, some hope he will be given an opportunity in Buhari’s new cabinet to shine further. Yet, there is one person that stood out in the bid to return the incumbent president to power. His strident voice and sometimes virulent criticisms are evident in his press statements and TV appearances. As a human rights activist and one of Nigeria’s outstanding lawyers, Festus Keyamo is seen by many as an individual who will be a shining light in Buhari’s cabinet, if the president decides to form a new one. Keyamo is an experienced lawyer. He has done well personally for himself. People thought he was the wrong man to be the spokesperson for Buhari’s campaign. Many might not have liked the style he adopted, the approach and the way he went about defending Buhari and the APC government. 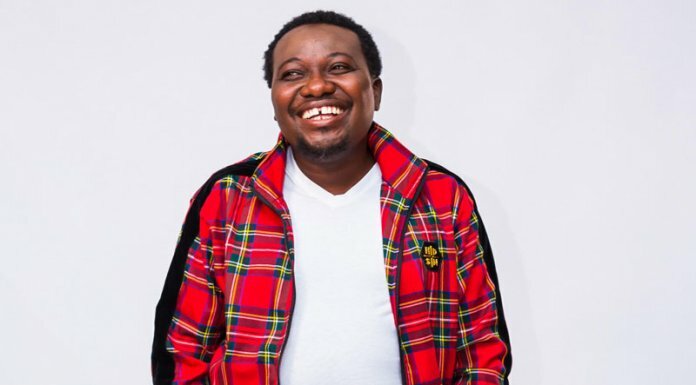 But his critics acknowledged that he has demonstrated the kind of passion and energy in every press statement he issued and television appearances he made like no other campaign organisation’s spokesperson. Keyamo, who clocked 49 in January, put on display his youthful vigour throughout the presidential campaigns. He is articulate, incisive and insightful. Awarded and inaugurated into the rank of Senior Advocate of Nigeria in 2017, Keyamo that same year, was also awarded the Global Human Rights Award by the United States Global Leadership Council in Washington for his efforts over the years in respect of protection and promotion of human rights and the crusade for transparent and accountable governments in Nigeria. In April 2018, Keyamo was appointed as the Director of Strategic Communications of the APC Presidential Campaign Council. In response to attacks against his principal, the fiery lawyer was unstinting. For instance, he picked on the Peoples Democratic Party’s presidential candidate, Alhaji Atiku Abubakar, asking him to quit the presidential race as investors in 9Mobile and Keystone Bank punctured the share-grabbing allegation the latter made against the Buhari family in a statement titled, ‘We call on Alhaji Atiku Abubakar to retain some honour by throwing in the towel now’. The statement followed the rebuttal by investors in Etisalat, now 9Mobile, and Keystone Bank that the family members of the president had nothing to do with both companies. “Rather than respect the feelings of Nigerians by offering clear-cut responses to straightforward allegations of tax-evasion, grand corruption in and out of office, impending sealed indictment waiting for him in the US, Atiku Abubakar has decided to drag the world down with him as he goes down in a blaze of infamy. He has decided to go wild with unsubstantiated allegations against the President and Vice President, throwing caution to the wind in the process. “We alerted the public about this impending avalanche of fake news a few days ago. This is the classic hallmark of a sinking campaign boat, clutching at straws, as Nigerians have woken up to the realisation that these are deceitful people who have nothing to offer. 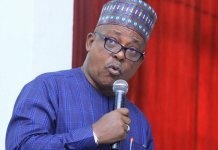 That is how its Vice-Presidential candidate, Mr. Peter Obi was reeling out false statistics with a straight face throughout the Vice-Presidential debate. To date, he has not apologised to Nigerians for taking them for a ride. It is a real shame. “We call on Alhaji Atiku Abubakar and the PDP to apologise to Nigerians and especially the family of the President for adopting this unwholesome tactics and telling tales by moonlight that have clearly backfired. 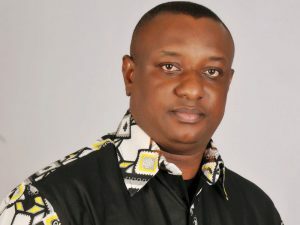 Instead of making a mockery of a serious campaign with such infantile lies, Atiku Abubakar should admit it is all over for him and the PDP, throw in the towel and endorse the candidacy of President Buhari,” Keyamo had said. On another occasion, in a TV debate with Senator Dino Melaye, the senior lawyer exhibited his unapologetic ability to stand up for a man he believes in. While appearing on Channels TV Melaye had compared Buhari to the late African dictator, Idi Amin, and asked the president to apologise to Nigerians for making a statement that many construed as a death threat to ballot box snatchers. 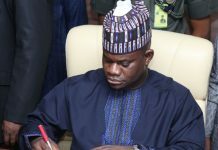 His devotion to Buhari and passion for the campaign were not misplaced as he admitted following his appointment as the president’s campaign spokesperson. “Let me put it on record that I was indeed consulted before the announcement. Upon the offer, I wholeheartedly and proudly accepted the challenge to do this for the good of my country and for posterity. For in President Buhari I have found an approximation of the lofty values I cherish and have fought for all my life,” Keyamo had explained. From the foregoing, many believe he will have more roles to play in Buhari’s second coming as a democratically elected president. But no one has the clairvoyance of whether he will be absorbed into the president’s cabinet in the case of a reshuffle. But here is one Nigerian everyone might be putting their money on to perform excellently well as a minister. Next articleGoing Forward or Backward?